No. Weight-loss pills don’t exist. Well, kind of. Weight-loss supplements will not magically melt the fat off of you. Don’t we all wish! But, there are some ingredients that can give you an edge. Some help control appetite and cravings, and some bump up your metabolism. Others sneak in the metabolic side door to help optimize the processes in your body that utilize fat stores for energy. So, actually, the answer might be yes. Of course, the bulk of your transformation is up to you. If you don’t feed that extra boost with a healthy diet and an exercise plan, you won’t get any results. Pills alone simply will not work. It’s sort of like gas stove: you can turn the gas on, but without igniting the gas, there will be no flame, no burn. Which fat loss supplement should you try, if any? Well, it’s helpful to first identify the root cause of your current fat status. Maybe you overindulge, under-exercise, or just don’t track your eating closely enough. When you have those answers, and you begin to develop a plan to change your behaviors, then you should start thinking about using supplements to amp up your weight-loss results in a healthy way. First, look at the supplement label. Are the ingredients high-quality? Is the company reputable? Do a little homework online, and if you have questions, contact the company’s customer service department. If they can’t help you, a little skepticism is apropos. Next, look for ingredients that support your goals and needs. A good supplement usually contains more than just a few ingredients, as different compounds work synergistically to maximize effects. For example, caffeine on its own might increase your heart rate, but combined with other ingredients, the blend may target fat burning more effectively than caffeine alone. African Mango, also known as Irvingia gabonesis, unrelated to the common mango, is extracted from the seeds of the African Mango plant. The supplement is advertised as a fat burner, but its benefit is probably more about its soluble fiber content, which is known to mediate appetite. It also may reduce blood sugar. The seeds of the fruit provide a good source of the minerals calcium, magnesium, potassium, phosphorus, and iron. Caffeine is a central nervous stimulant, as well as an antioxidant. Caffeine can also boost energy levels, reduce feelings of fatigue, suppress appetite and increase fat loss (perhaps due to increases in adrenaline release caffeine is known to cause). Caffeine can help reduce post workout muscle soreness and improve endurance during exercise. The metabolic effects vary among occasional versus habitual users; caffeine dependency tends to dulls its effects. To compensate, some people cycle caffeine. Green tea, also known as Camellia Sinensis, is composed of a matrix of compounds, many of which have their own unique properties. Catechins, Bioflavonoids, L-Theanine, GABA, caffeine, and several other tea constituents have synergistic effects on the body. Together, these compounds may act in harmony to increase fat oxidation, inhibit fat cell development, and increase metabolism. Green tea boasts several additional health benefits: its active ingredients have been shown to protect against cardiovascular disease, diabetes, and neurological disorders. Yohimbe is the name of the bark of a tall evergreen tree in western Africa known as Corynanthe yohimbe. A general stimulant, this compound increases adrenaline and reverses a natural body process that suppresses fat burning. Food intake tends to dampen the effect of yohimbe, so it’s recommended to be taken on an empty stomach. 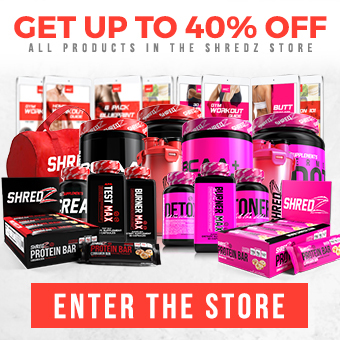 Shredz has carefully crafted an all-inclusive supplement designed to enhance the effects of your healthy diet and exercise program to step up the burn, help you lose weight, and boost your overall health. 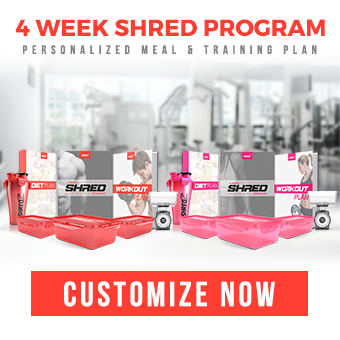 Shredz Burner Max for women and men contain clinically effective and tested doses of these ingredients and more to help support your weight-loss plan. Just remember that the foundation of health and weight loss is nutrition and exercise. A great supplement is just that – a supplement to your best efforts!